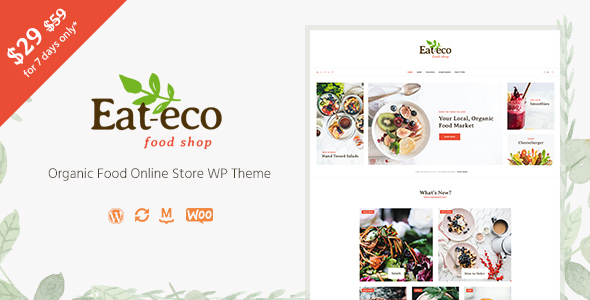 Eat Eco WP theme is built for food & organic online stores, grocery markets and organic farm industry. Theme colors are flexible, they can be changed using handy color settings, both globally for the whole theme and on-page too. 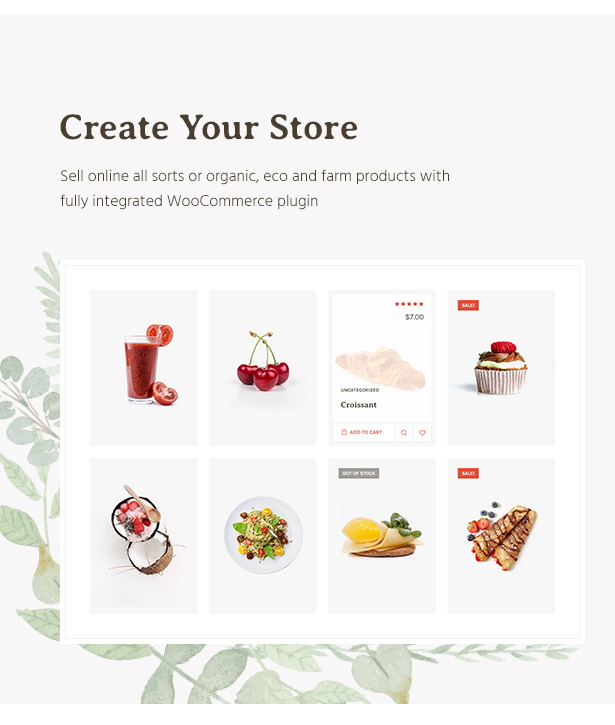 Full WooCommerce plugin integration lets you sell online all sorts or organic, eco and farm products and create grocery shops, vegetables shops, fruits shops and more! 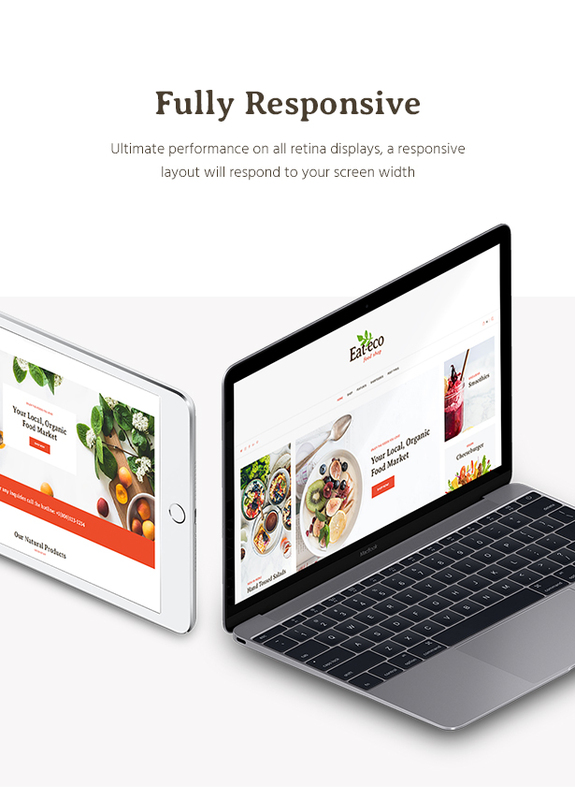 Responsive & Mobile Ready, the Eat Eco theme has a fully responsive layout and fits perfectly on various displays and resolutions from regular desktop screens to tablets, iPads, iPhones and small mobile devices. 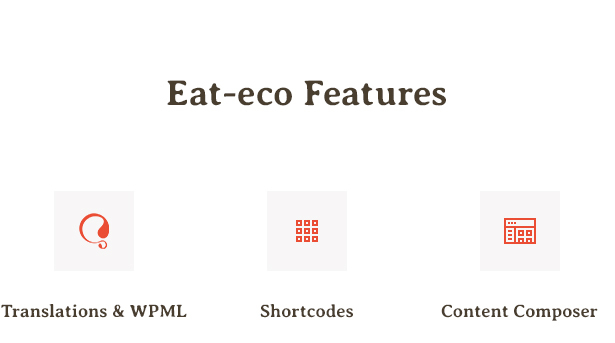 Eat Eco theme comes bundled with premium slider plugins: Slider Revolution and Layer Slider both included, you can use them for free. 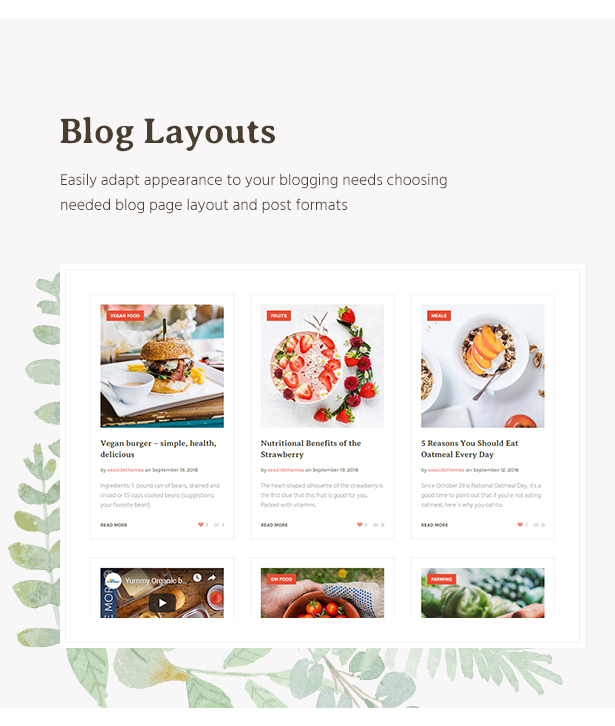 Theme niche is ecommerce, healthy, vegan, organic food, organic store, eco shop, food, fresh, health, marketplace, retail, shop, shopping, store, vegetarian, WooCommerce, grocery, vegetable, fruit and other organic theme niche. 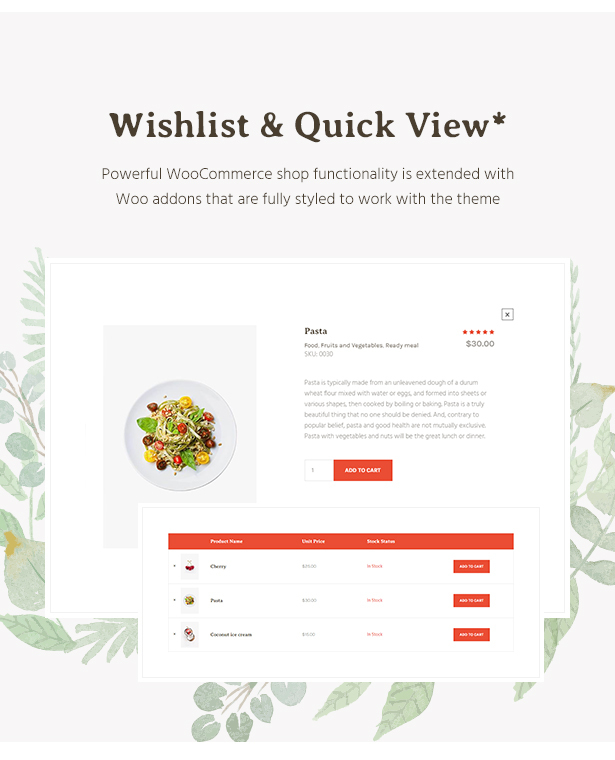 Custom Admin panel – we have greatly extended initial WordPress admin to provide you with more functionality that includes a wide variety of options and settings and provides maximum customization flexibility to help you create a Organic Food Store website. 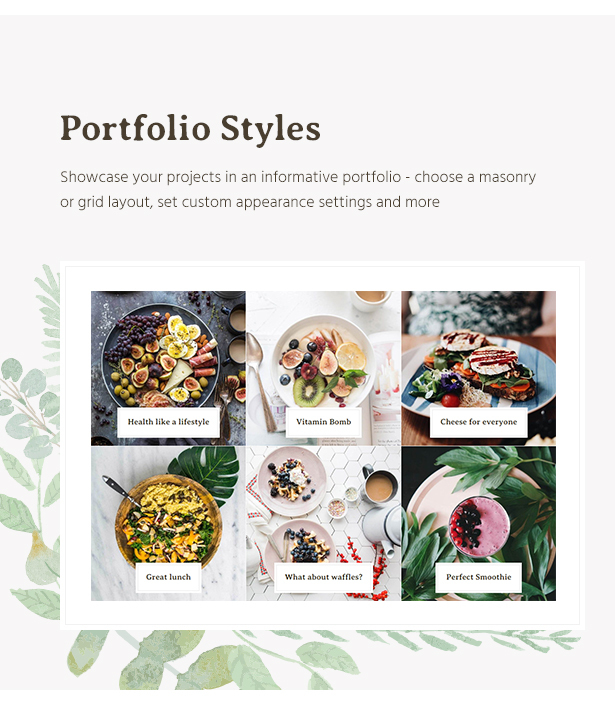 Layer Slider & Revolution Slider – this Health & Organic WooCommerce WordPress Theme comes with two popular slider plugins included, a Layer and Revolution Slider, both have supreme functionality and breathtaking effects. No need to purchase them, it’s all in! Custom Form Builder Tool – Seasidetms team has created a custom form builder tool that lets you create contact forms for your website. 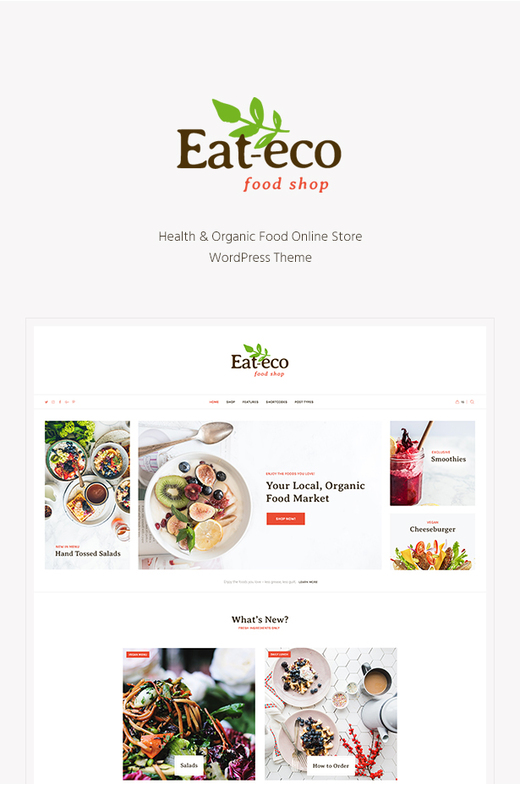 Responsive Layout – Eat Eco – Health & Organic WooCommerce WordPress Theme has a responsive layout that will respond to your screen width and make content appearance be perfect on all devices, from large desktop screens to mobile phones and tablets. 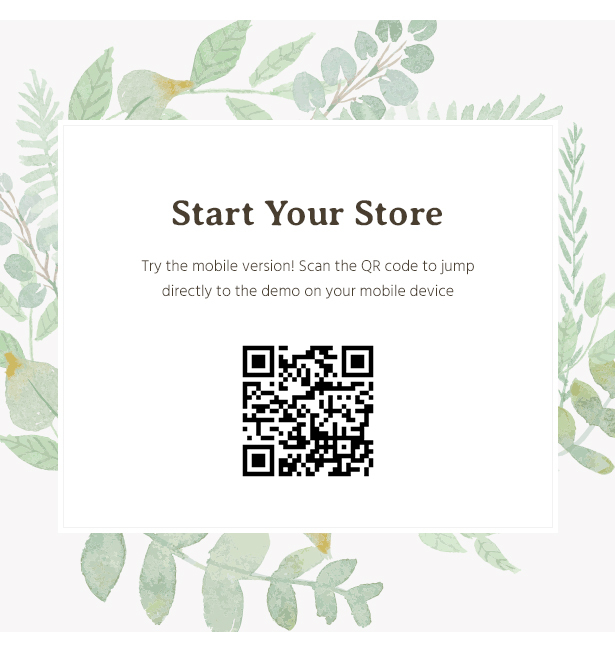 If you need to create a website for organic online store and grocery market, Eat Eco WordPress Theme will do the work for you.